While Hong Kong may be just starting to see an influx of exotic cuisines from elevated Peruvian to modern Indian, what’s certain is that our city has never wanted for Japanese food. Whether or not you think we’re inundated with enough yakitori joints, ramen bars and fine dining omakase counters, this month’s influx of new Japanese restaurants are hoping to add something new to the mix, from a yakitori restaurant elevated with shisha and seasonal cocktails, to a sushi haven importing from a 200-year-old Tsukiji retailer. Tuck into your fill of Japanese food, but make sure you leave room for inventive Indian at Daarukhana, tapas at new neighbourhood joint Baked, and a brand new Shake Shack shaking up the scene. 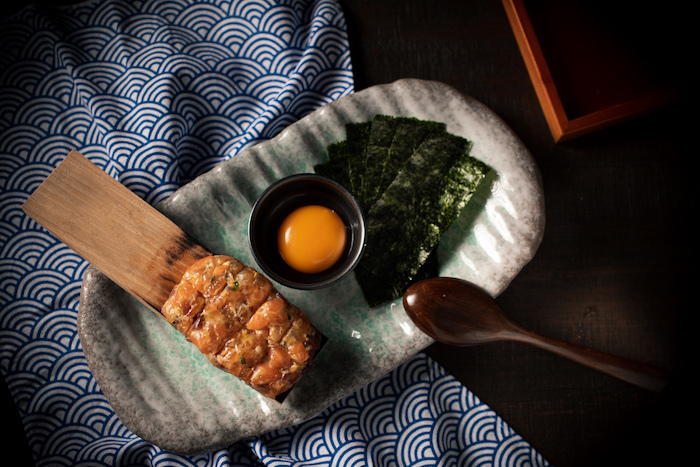 A new Japanese izakaya has popped up in Tsim Sha Tsui, offering a selection of seasonal ingredients in a series of affordable omakase menus starting from HK$288. Mokutan embodies Japan’s minimalist spirit, with expansive white walls and a natural palette of wood, stone and paper materials. Seating just 26 people, the L-shaped counter offers the best seats in the house, with views of the open kitchen as you witness chefs preparing your 9-, 13- or 18-course menu (HK$288–$688). The omakase menu incorporates cold and hot appetisers, meat and vegetable skewers, simmered dishes, soups, grilled meats, seafood and rice. 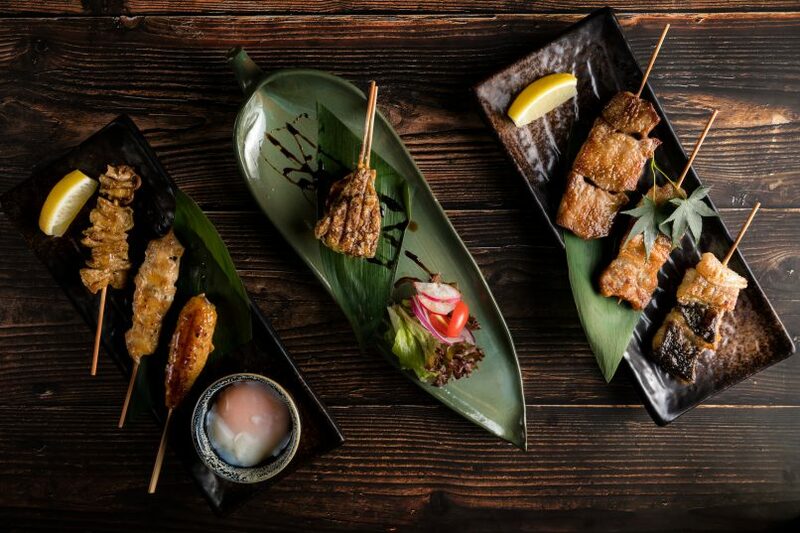 Highlights include chicken yakitori, showcasing the different parts of fresh Satsuma chicken from Kagoshima; classic skewers including beef short rib and minced chicken; and fresh grilled seafood such as threadfin, water eel and yellowtail. Vegetarians are also amply catered for with a selection of seasonal vegetable dishes and onigiri rice balls. For even better value, pop in for the lunch set menu which includes a daily appetiser, soup, salad and rice. Not to confused with Bakehouse, Baked is another trendy and dare we say hipster café that’s just popped up on Elgin Street, offering everything from freshly baked sourdough bread to internationally-inspired tapas and cocktails — and yes, even homemade kombucha. With everything made from scratch in-house with local, artisanal ingredients — the all-day diner is looking to become a surefire hit amongst everyone from foodies to fitness buffs. Stop by in the mornings for hearty breakfast offerings including brioche French toast, coated in cinnamon sugar with caramelised banana and raw honey; while the café transforms into a stylish tapas bar at night with signature cocktails served alongside irresistible bites — think black truffle and mushroom arancini, baked mac and cheese, and 18-hour Korean short rib. A shiny La Marzocco machine also ensures you’ll get your caffeine fix for the day. Hong Kong’s newest contemporary Indian restaurant, Daarukhana lands in Wan Chai this month, offering a seductive new temple for modern Indian fare. Outfitted with luxe furnishings such as brushed metal and white marble, the dazzling restaurant lives up to its interiors with an assortment of bold, spice-heavy dishes. 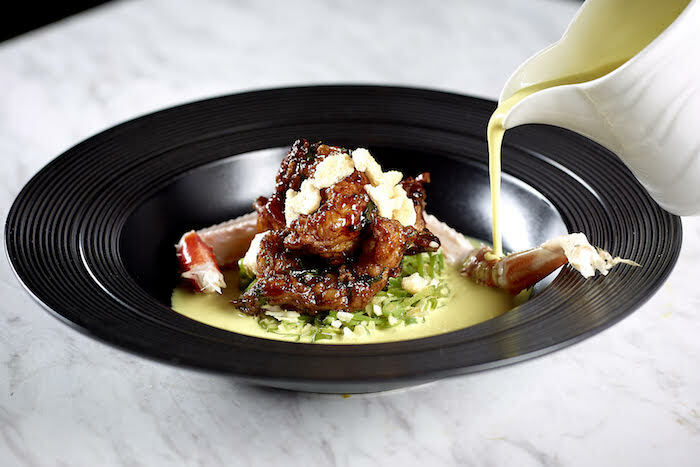 An inventive menu explores the lesser known canons of Indian cooking, with esoteric ingredients used in dishes such as chilli honey glazed French langoustines with South Indian beans; and garlic pepper crab with Thayir Sadam rice foam. Divided into sections with sharing-style portions, dishes lean towards the unconventional, even venturing into molecular territory such as in the American Duck Shami with fig chutney and smoked papadum appetiser, and the Modern Dosai with curry leaf, mustard, tempered potato foam and “Podi” masala. For heartier sharing platters, don’t miss the premium beef short ribs fired up in the tandoor oven, served with an array of homemade condiments. 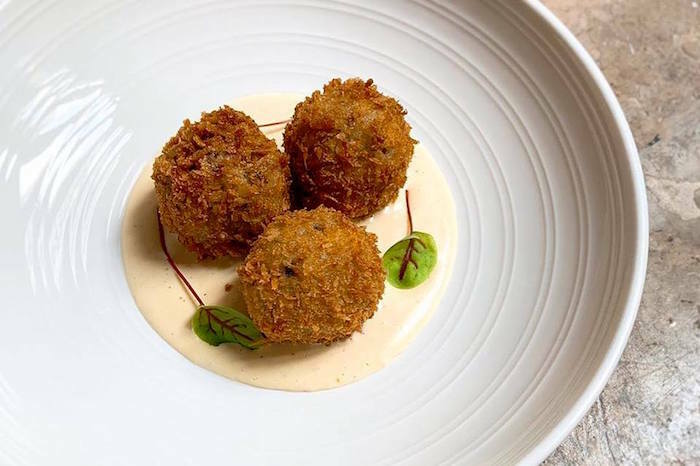 From anticipated Peruvian diner Ichu to French fine diners Arbor and Ecriture, arts building H Queen’s has brought us one big restaurant opening after another since its debut in April. 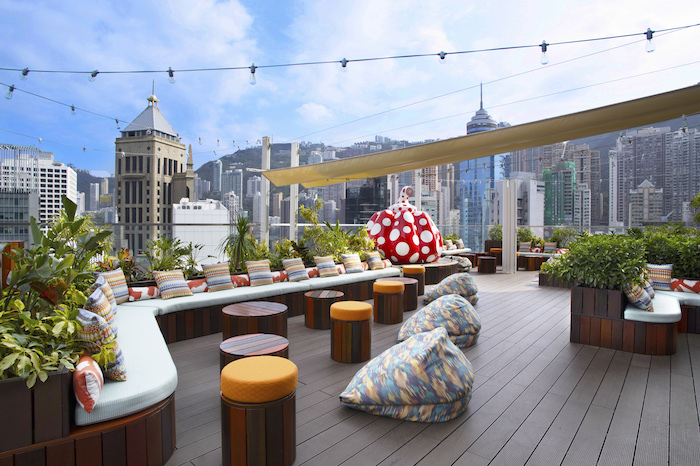 The latest to join the mix is Piqniq, which takes over the rooftop and offers a fashionable new alfresco destination for Hong Kong’s well-heeled foodies. Dine, drink and dance the night away in the colourful urban oasis which mimics the artsy interiors of the building, from the cushy lounges and bean bag chairs, to a custom-made bar by Lala Curio and an iconic red and white pumpkin sculpture by renowned artist Yayoi Kusama. With views stretching from Victoria Harbour to The Peak, guests can soak in the surrounds while nibbling on the PIQNIQ Baskets comprised of international snacks: think Wagyu katsu sandos, a selection of dim sum, cold cuts and charcuterie, French artisanal cheeses, quiches and more. Wash it down with the signature libations — from the green tea-laced Matcha Harmony to fizzy Aperol Spritz available on tap — alongside a list of carefully curated wines and champagnes. 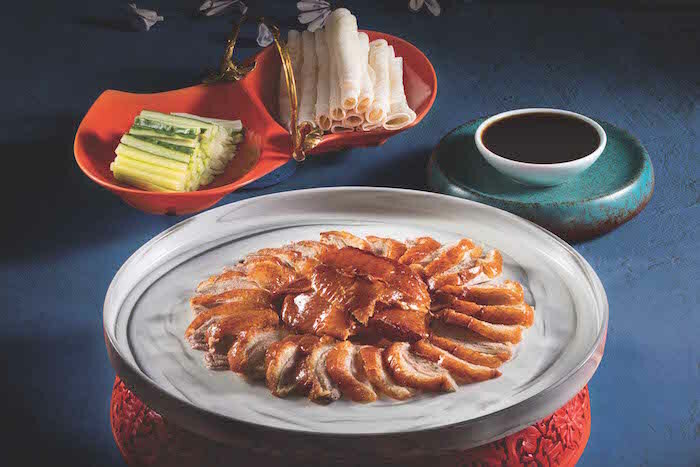 Forty years after first opening in Star House in Tsim Sha Tsui, Peking Garden — a beacon of capital city cuisine in the heart of Hong Kong — unveils its grand renovation and revamped concept this month, heralding a new era for the Hong Kong institution. Taking inspiration from Beijing’s vast culinary history, Peking Garden continues to shine a light on the Imperial style of Beijing food, with a wave of new dishes thrown into the mix, as well as renovated interiors including an open kitchen and five different themed private rooms for gatherings and celebrations (capacity for events up to 460 guests). Traditional dishes have been reimagined into elaborate visual presentations, from the braised vegetable with ham, carrot and mushroom presented in a carefully constructed fan shape; the sautéed prawns with scallop and sea whelk in an ornately carved dragon; and the cucumber in lime, pomelo and chilli sauce, presented in a carved out cucumber. Other crowd-pleasers remain, including Beggar’s Chicken, broken with a golden hammer before serving, deep-fried mandarin fish, steamed prawns with egg white and hua diao wine, and of course, the legendary Peking Duck — a long-time fan favourite which is barbecued and carved in the traditional style. Peruvian cuisine has made a splash in Hong Kong in recent months; now, there’s a new casual diner in town that’s taking inspiration straight from the streets of Lima. Operated by chef-owner Abel Ortiz Alvarez, a Peruvian native, Chullschick aims to introduce the beloved Lima-style of rotisserie chicken to Hong Kong, indulging our city’s love of poultry with a smart menu spotlighting juicy and tender pollo a la brasa. 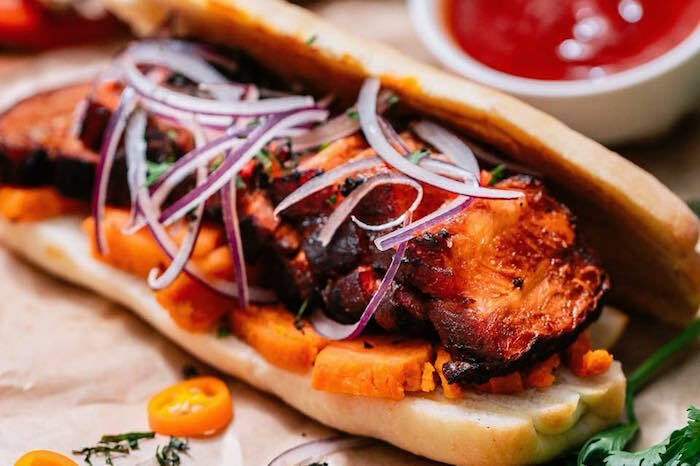 In addition to the juicy, melt-in-your-mouth rotisserie — a product of a long brining process and a custom-built rotisserie which allows the skin to crisp up appropriately — the diner offers other eccentric and irresistible Peruvian street eats, from roasted sweet potato with cinnamon brown sugar to 13-hour slow cooked pork belly sandwiches, rocoto chilli chicken wings and salchipapas, a typical South American street food of fries and sausage. Prices are par with other rotisserie joints around town: $88 for a quarter, $138 for a half or $268 for a whole chicken, all served with tangy aji amarillo sauce and your choice of sides. From beer pong hall to sophisticated Japanese diner — nightlife aficionados PONG Group are expanding into the restaurant sphere this month, presenting Causeway Bay with a massive 2,500-sq.-ft. contemporary yakitori restaurant complete with a 950-sq.-ft. outdoor terrace for enjoying shisha and seasonal cocktails. Perched on the top floor of Midtown Soundwill Plaza II, Toripon’s menu stars premium Japanese chicken flown in fresh daily, served up in a sophisticated yakitori menu available either à la carte or as part of a premium omakase set. 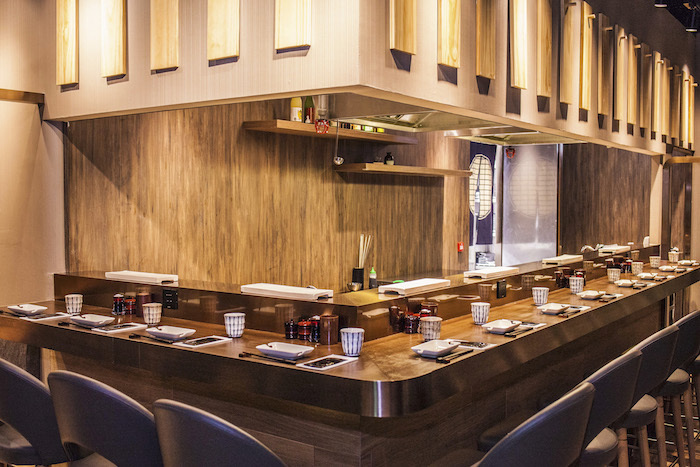 Take a seat at the bar counter or a private booth table and tuck into an assortment of skewers, from chewy chicken neck to tender chicken breast, and the signature minced chicken skewer complete with a wobbly onsen egg. Those who don’t fancy chicken can opt instead for top blade steak skewers, Japanese leek and garlic, and more vegetarian skewer options. Omakase sets start at HK$880 and can be complemented with special sake pairings including the Juyondai sake flight, a special grand opening exclusive priced at HK$5,000 for four full 180ml carafes of different sakes from the premium cult brand. 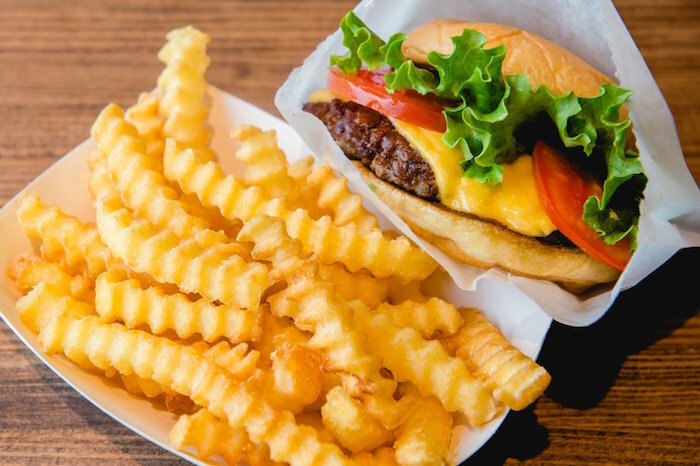 If you haven’t yet managed to brave the queues at Shake Shack’s IFC flagship to get your fill of ShackBurgers, crinkle fries and frozen custard, here’s some good news: the popular New York-based burger chain will be opening another outlet in Pacific Place, perfect for shoppers or cinema-goers looking for a quick burger fix. Operated here by Maxim’s Group, the Big Apple burger chain launched its first Hong Kong store at IFC roof garden earlier this year, catering to more than 300 diners on its first day. All signs point to Pacific Place seeing the same mad opening rush, so make sure you get there early or sneak over during non-rush hours to fill up on the classic Angus beef burgers, fried chicken and portobello mushroom burgers, NY-style flat-top hot dogs, crinkle cut fries and Hong Kong exclusives such as milk tea shakes and vanilla custard egg tarts. 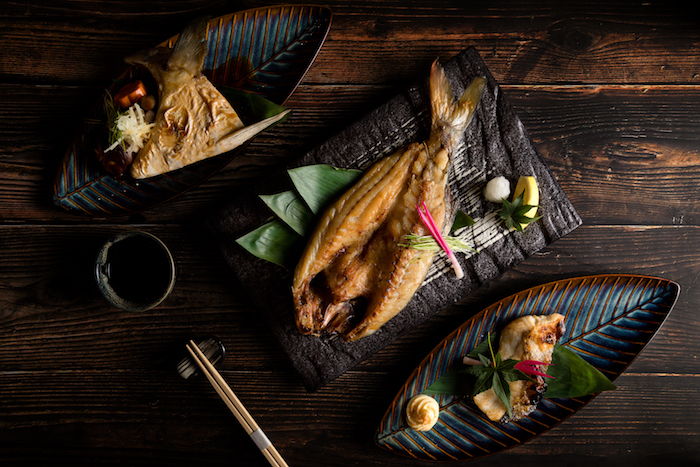 Well-known Tokyo seafood izakaya Uoharu will touch down in Hong Kong in November, offering a selection of premium seafood sourced from the 200-year-old family-owned Yama-Haru, the largest wholesaler in the famed Tsukiji market. Embracing the minimalist philosophy, the stripped down restaurant emphasises what’s on the plate: authentic and premium ingredients prepared simply to draw out the natural flavours of the ingredients. Headed up by Executive Chef Masahiro Uchiyama — whose resume includes experience opening over 15 restaurants in Japan — guests will be invited to dine on elevated izakaya cuisine with the robatayaki grill starring front and centre. Pick your selection of fresh seafood and vegetables and watch them cooked expertly over the open flame. Meanwhile, highlights of the a la carte include seared miso sashimi tartar (pictured above), honten soba with dried mullet roe, and uni and salmon roe macaroni gratin. Uoharu opens on 15 October for lunch and dinner. Chicken rice lovers, get excited: the popular Singaporean food stall Tian Tian will be opening a second Hong Kong outlet in Elements mall this month. Singapore’s most famous chicken rice stall has gained a legion of followers outside of The Lion City; in May, it expanded to Hong Kong as Tian Tian Plus, serving up chicken rice along with dishes from three other recommended Singaporean food stalls, The 50s, Lao Jie Fang and A Noodle Story. At Elements, Tian Tian Plus is dishing up exclusive new items such as a soul-warming bak kut teh with Wagyu shank and tripe, whole prawn toast with truffle sauce, and deep-fried abalone with spicy salt. Singaporean-inspired desserts include pandan layered cake and deep-fried durian dumplings, while the Elements shop will also offer fruit teas and milk foam tea from Hokkaido. Debuting on 2 November, Tian Tian Plus will give away 100 cups of The 1950’s Nanyang-style coffee daily during opening week to commemorate the opening.